Using only 3 cheap and simple ingredients (eggs, flour and milk) you can create the base for some incredible sweet and savoury delights. 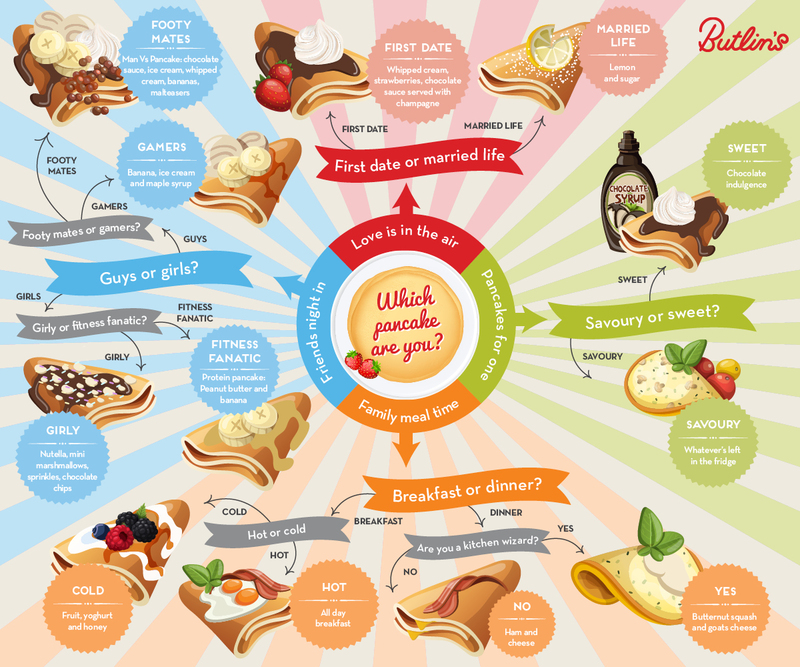 To make your life easy, and for a bit of fun, we’ve created this guide to choosing your perfect pancake. Whether you’re planning a family meal, having a few friends over or if you just fancy a treat by yourself we’ve got the solution! Using the pancake game below, and starting in the middle, follow the questions to find your perfect pancake. Let us know what you came out with and share your best pancake flipping pictures on our Facebook page or on Twitter. If you’re still stuck for some ideas why not check out these *incredible* pancakes. Or you could have a go at making these Peppa Pig pancakes? Put your flour, eggs, milk and a pinch of salt into a bowl or large jug, then whisk to a smooth batter. Set aside for 30 minutes to rest. Heat a frying pan over a medium heat and wipe it with some oiled kitchen paper. When hot, ladle the batter into the middle of the pan, tilting the pan to get an even, flat coating and cook your pancakes for 1 minute on each side until golden, keeping them warm in a low oven as you go. Serve with your favorite fillings from the guide above! And there you have it – the perfect pancakes! 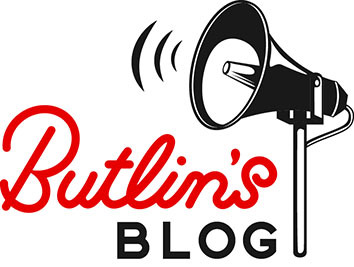 Make sure you remember to show us your masterpieces on Facebook or Twitter using #PancakeDay.